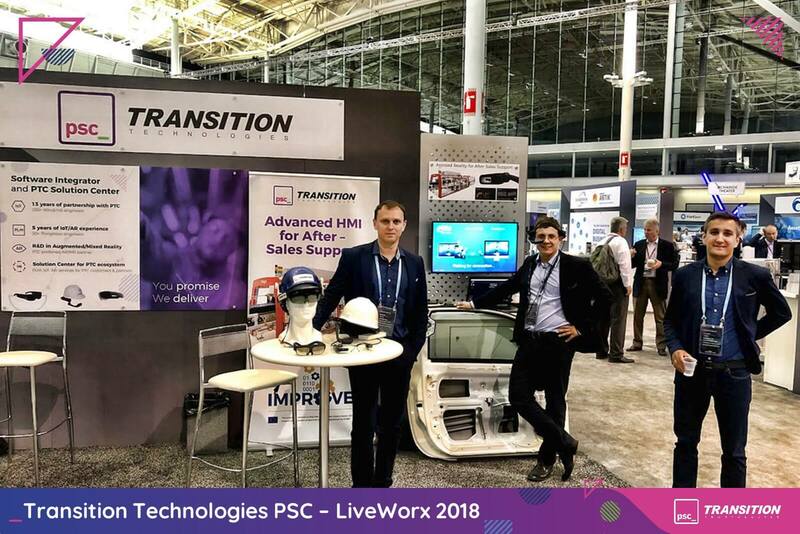 It’s been just two week since LiveWorx 2018 ended in Boston, MA, after three intense days of networking, discussions and astonishing keynotes. 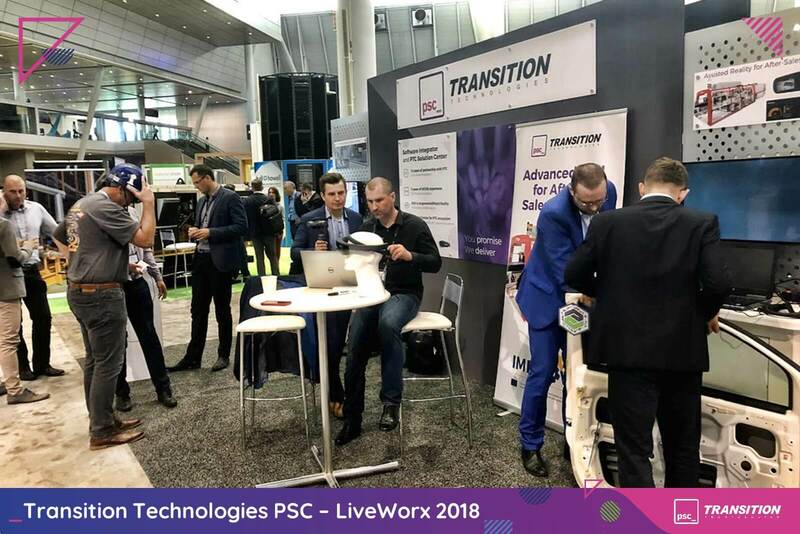 At Transition Technologies PSC we took every advantage of the event, exhibiting as an elite sponsor and inspiring the world with real life cases of IoT and AR which we brought to life. Kevin Ashton – the man who invented the “Internet of Things” – also joined the list of speakers and led one of the sessions. Whether you were thinking about moving “from a place to a pace” as Jim Heppelmann put it, or wondered about what the future has in stock for mankind, you could not have been disappointed. Add a few big announcements to the mix (high profile like the one about bringing real-time simulation to Creo powered by Ansys technology, or less publicly recognized but equally important, like finally removing Java Applets from Windchill – more on that later) and every single person leaving the General Session hosted a big smile on their face. You do not have to worry if you missed some of those keynotes. PTC was kind enough to record some of them and make those recordings publicly available here. We too had our share of speeches. Three days of conference, three speeches delivered by some of our very best in Transition Technologies PSC..
As soon as on Monday, June 18th, Konrad Dróżka, COO, along with Michał Neufeld, IoT expert, shared the story on how one of our customers used AR to differentiate his after-sales support. The company in question, OCME, is an Italian manufacturer of packaging machines. Together we have defined, implemented and validated a strategy for utilizing Augmented and Assisted Reality as a key ingredient for significantly improving their after-sales activities and customer support. They aimed at increasing net profit and building the brand’s competitive advantage through drastically improved customer experience. The session allowed to witness how implementing an AR solution within just 4 to 6 weeks can have a positive effect on the strategy of an entire enterprise and change the way they deliver their products to their customers. An important point was raised: clearly defined goals and implementing them step-by step are key to success. I think it’s worth mentioning at this point that the session detailed one very important development done within that project: a ThingWorx Studio (now known as Vuforia Studio) extension was created by our team which allowed introducing new AR widgets and templates, optimized for small non-see-through displays like the ones found in RealWear HMT-1 or Vuzix M300. This, after introducing to PTC in October 2017, ultimately led to creation of an entire new project type inside Studio, called Eyewear 2D, basically introducing PTC to the concept of Assisted Reality. While I don’t think we get enough public credit for that, it’s great to see our ideas catch on and grow so significantly. 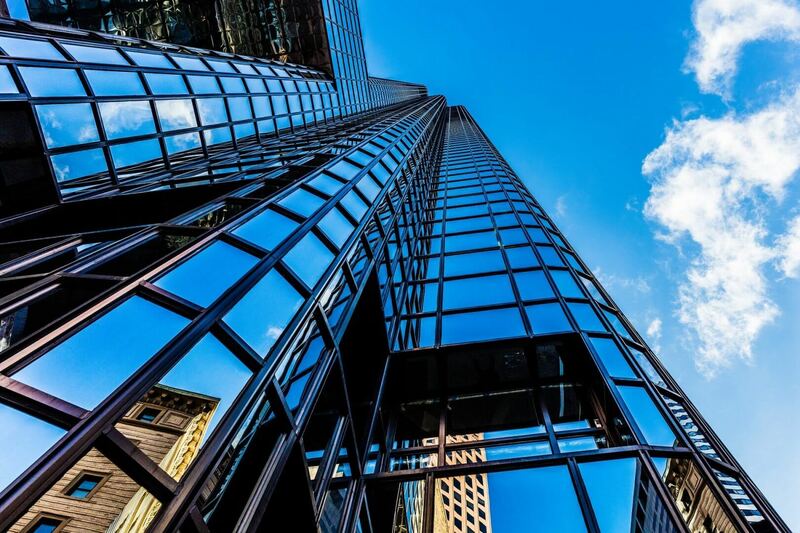 The next day, on June 19th, it was my turn to share the stage of an “Ignite” session with Michael Bloxton, CEO of Bloxton Investments Group, to share a dream and the way we make that dream come to life even now, as you read through these paragraphs. We took turns talking about how we are taking what’s best in some of the technologies behind world’s sexiest buzzwords and putting that together into a complex, coherent and robust technical solution. Acquiring information from wearables and mobile devices practically anyone has (smartwatches, smartphones, smart bands, etc. ), normalizing this data using Artificial Intelligence to eliminate noise and make sense out of this mess, managing all of it using the ThingWorx Industrial Innovation Platform, and using Blockchain to transparently, securely and effectively ensure appropriate data ownership to all contributing users. Without changing anything in our daily routine we will be able to control who uses information we created and for what purpose, thus allowing us to decide whether we want to “cash in” on our data, or contribute to ambitious goals, such as getting the world rid of cancer. The dream we shared is providing high quality personalized healthcare services to everyone around the world for just a few dollars a month. I know it sounds a little bit like a sci-fi movie (the Star Trek kind), but the truth is we are actually working on making that happen right now. As it seemed from our audience’s reaction to our question on whether they think that the current healthcare system is perfect, I believe we found a great market niche. To wrap it all up, on Wednesday, June 20th, our three marvelous speakers: Konrad and Michał, who I mentioned before, and Grzegorz Stawicki, IoT Department Director, focused on how to deliver accelerated AR services. These gentlemen showcased a few of our implementations delivered to customers worldwide, digging a little bit more into detail on how we moved from an idea and a concept straight into larger-scale roll-outs. The first example was an application used by aesthetic surgeons, allowing them to display various information related to the procedure directly on their patient’s body. This included bones, blood vessels and more, allowing the surgeon to easily identify potentially hazardous areas to avoid while performing the procedure. As it turns out, such insight into the structure of certain body parts allows surgeons to perform their activities safer, more accurately and more effectively. This in turn means that the surgeon’s services are of better quality and translate directly into customer satisfaction, while taking unnecessary stress of the doctor. What’s interesting from a technical perspective, this solution utilized Apple ARKit’s face-tracking technology with Microsoft HoloLens’ AR display capabilities, allowing us to track patients’ expressions and facial grimaces, and appropriately visualize all information in scale and context. All in real-time. Each year Liveworx is home to a marketplace of innovation in technology solutions called Xtropolis. This edition was no exception. While Jim Heppelmann took it to the big stage to announce incorporating Ansys’ simulation tools into Creo, the exhibition showcased quite a few equally impressive examples of how PTC technology is changing the world we know. I’ll share a little secret with you: I am estimating that we had our share in creating roughly 1/3 of the technology you saw at the displays around the exhibition floor. Whether it was integration of Allied Reliability’s predictive maintenance software with ThingWorx as an example of our collaboration with PTC Partners, or tech showcased by PTC itself, ranging from Windchill PLM, through ThingWorx, Navigate all the way to Vuforia Studio and View – our experts helped (and continuously help) make it all happen in the first place. PTC itself stresses the importance of working with various partners to deliver robust and complete solutions. 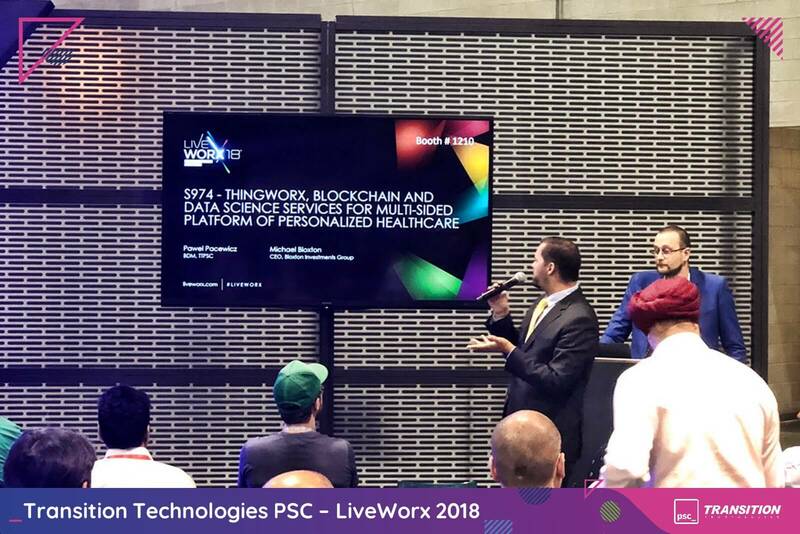 LiveWorx and Xtropolis was one great example of such collaboration – with us. While I’m not sure we always get the credit we deserve and sometimes people even mistake us for a company that makes HoloLens-hard hat mounts, it’s still pretty damn rewarding to see all our effort and all that great technology put to good use. Oh, yeah, we had our booth there, too. We used it to display a few of Augmented and Assisted Reality solutions we developed for our partners and customers in OCME or NextMotion, among others. There we go. I believe we left quite a significant footprint on LiveWorx 2018. 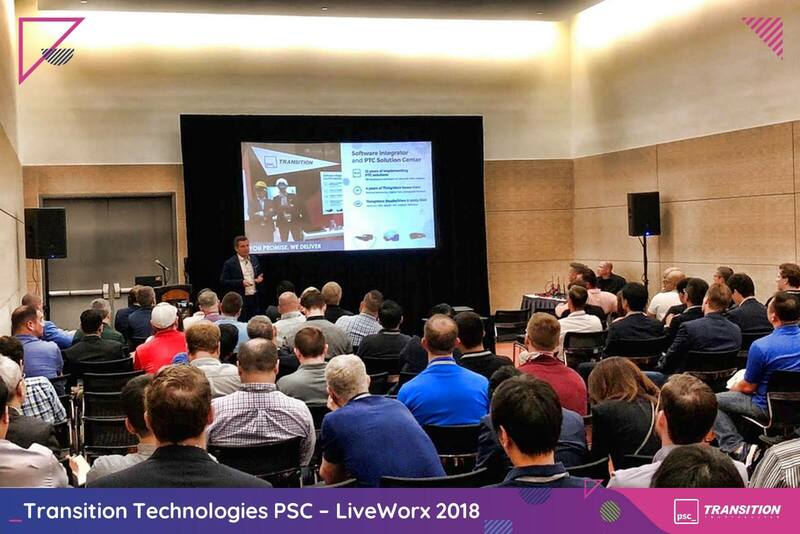 Worried you missed LiveWorx 2018? No need for that. Not only did we provide nearly minute-after-minute updates using our team’s social media accounts, but also PTC is making more and more content from the event publicly available (I already posted a link to keynote recordings, but here it is again in case you missed it: click! ), so watch out for some exciting news from both PTC and us. We strongly hope this will not only make you feel almost like you were there, but also help inspire everyone looking towards IoT and AR to make the world a better place. I know this is just a short summary of only a few things that took place at LiveWorx. I would be happy if you would like to share your thoughts in comments below. If you have any questions to me, please feel free to reach out to me directly at pawel.pacewicz@ttpsc.pl. LiveWorx 2019 is just 350-something days away. See you there!